Happy New Year to all of our Aromatherapy Friends all over the world! We are still in the midst of winter, but at least the days are getting longer and the snow drops are pushing through telling us that spring is on the way. We have taken our Christmas trimmings down and are now decorating for Valentine’s Day. Christmas was very busy for Green Valley. Everyone seemed to want to get on board with this ‘new’ healing therapy. The popularity of aromatherapy continues to grow. Since we added the retail store to our business in May of 2016, we are now available to more retail customers. It is amazing what you learn from them and it is exciting to be able to help them on their journey to learn all about aromatherapy. Many new customers have been to, or have had home parties. They get excited about the nice aromas but many do not understand the full value of essential oils or the cautions. There are a lot of books on aromatherapy and of course we have the internet to turn to for information. However, it is not always easy to tell the accuracy of the information on the internet. All of the books that Green Valley carries are from trusted authors. I am not very savvy with computers and they were not available when I was in school, so I am addicted to books. 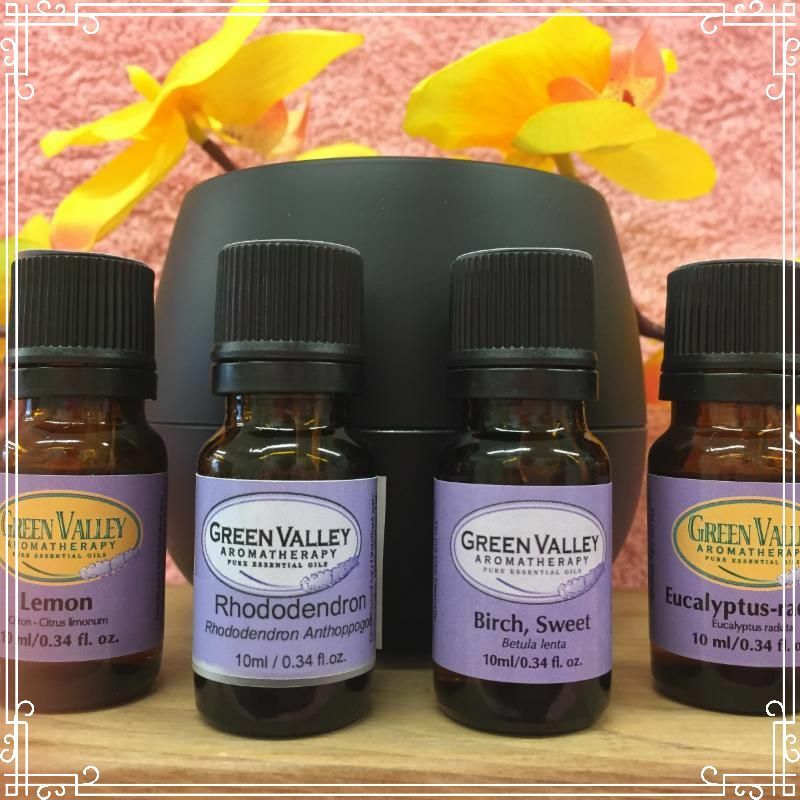 The first aromatherapy book that I purchased was from Valerie Ann Worwood. I have had to replace it twice so far as it goes everywhere with me in case I have a few minutes to read. The Complete Book of Essential Oils and Aromatherapy is in a new edition and is still one of our most popular books. Choosing which blend to profile this month was not a problem. At this time of year with the wet, cold, and dark days, after all of the excitement of the children around Christmas, the stress of getting the Christmas cards out and the Canadian Postal strike, what we needed was some Peace and Quiet! 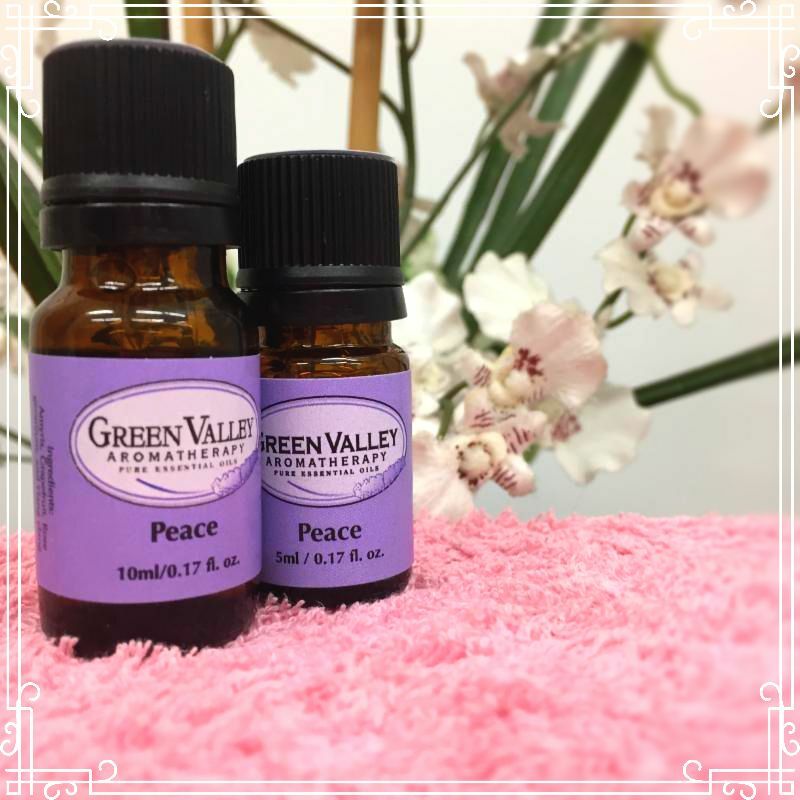 Our Peace blend is a lovely blend of Grapefruit essential oil, Rose Geranium essential oil, Amyris essential oil, and Ylang Ylang essential oil. Grapefruit’s general properties include antidepressant, detoxifier, digestive stimulant, diuretic and emotional stimulant. Rose Geranium is an antidepressant, is uplifting, calming and emotionally balancing. Amyris is a stress reliever, is calming and is a sedative. This essential oil has similar properties to Sandalwood. Ylang Ylang is an antidepressant, aphrodisiac and sedative. There have been many studies on people with high blood pressure that show Ylang Ylang may help to lower blood pressure. Looking at all of these properties this is an ideal blend for PEACE and QUIET. Equilibrium is a blend that was created with the more mature woman in mind, which was who I happened to be at the time. 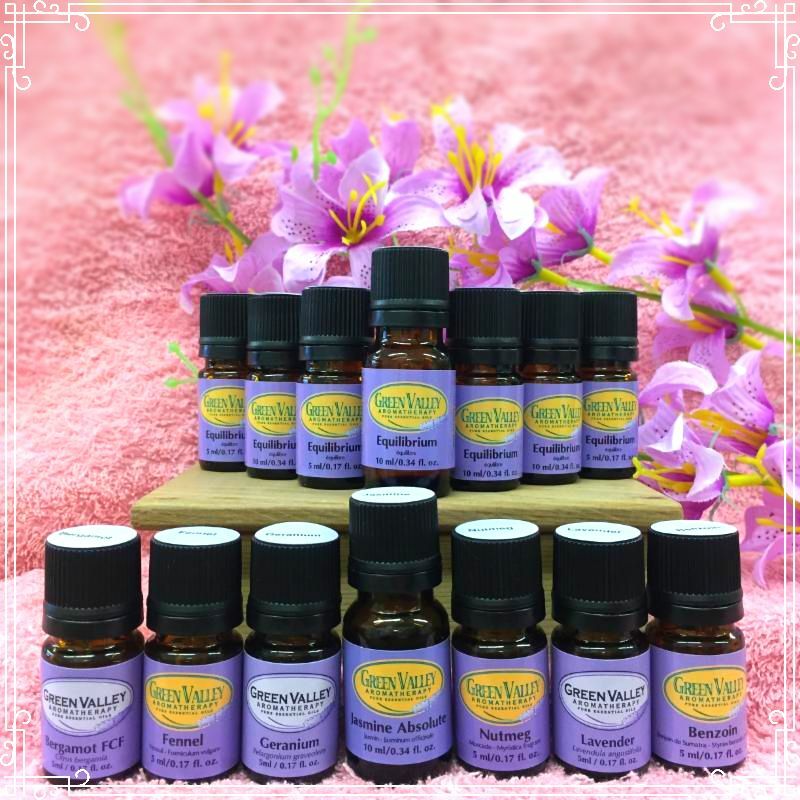 The oils chosen were Bergamot essential oil, Fennel essential oil, Jasmine essential oil, Lavender essential oil, Nutmeg essential oil and Benzoin. Benzoin is good for circulation and can be used in lotions to sooth red, irritable, itchy skin. Bergamot can help with tension, anxiety, cystitis, and digestive problems. It is a diuretic and is balancing. Fennel is thought to be a hormone balancer, digestive balancer and diuretic. It may help with nausea and flatulence. Jasmine is an aphrodisiac, a spiritual stimulant, sedative and euphoriant. Nutmeg may help with poor circulation, flatulence, nausea and indigestion. All of these essential oils work together as a synergy to help you to move on in your life, to look for situations that help you to change and discover a new you. Avocado oil is a thicker than usual vegetable carrier oil. It is rich in vitamins A, C, D and E, proteins, beta-carotene, potassium, lecithin and fatty acids. Avocado oil is one of the richest sources of monounsaturated fatty acids. Avocado oil is recommended as an effective treatment for acne and blackheads. It is extremely good at hydrating and softening the skin. Avocado oil nourishes dry, dehydrated skin and is easily absorbed. I have heard it is good at reducing age spots and healing scars. Avocado oil is used in creams, moisturizers and sun screens. During these winter months, germs come out to play. Children coming home from school usually have new germs to share. If you have been out shopping, you can bring home another strain. Add the oils to a clean bottle and shake gently. If you would like to make 5mls of the blend, multiply the recipe by 5. For those of you who do not want to be bothered making your own blend, you can try our Terminator blend instead which is based on the ancient Thieves Blend.